The Raiders abstained from the 31-0 vote on a new Collective Bargaining Agreement Thursday night. 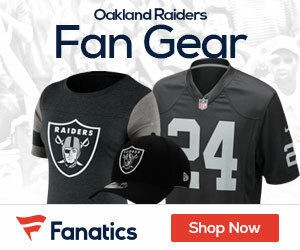 While declining to specify the franchise’s reservations, Trask said, “We’ve consistently expressed these views to the league.” Trask said the team’s misgivings stem from an organizational perspective, not directly from Raiders owner Al Davis. “We’ve always looked forward to the resumption of football,” she said. The Raiders are thinking of the real fans and real football, not just about money; the Raiders are not saints but they are a fan friendly team and they don’t go along with the rich boy system. That’s why fans need to stop dumping on Al and start protesting the league’s ponzi scheme. Raiders fans should be cautious about how the Raiders will succeed in 2011 because I believe, as usual, the NFL and partners will try and make sure the Raiders lose enough to miss the playoffs. Its’ not hatred, its not really the NFL because they have too much money to worry about Al. Its’ their partners and the NFL, a group of billionaires, corporations and politicians who control how the league works. They don’t hate the Raiders, they want Al Davis out of the NFL so they can remake the Raiders into a generic corporate shell of its former self that will be run by billionaires, there will be no more tuck rules or strange calls by the refs if this happens. Fans will pay more for season tickets in a new stadium and the RaiderNation will be a word nothing else. The NFL has tampered with the Raiders for six years to see them lose so the Raiders would lose money and Al might sale the club. What RaiderNation should do is write or e-mail Roger Goodell and tell him to talk to his referees and his corporate friends to leave the Raiders alone. And let the Raiders compete openly and without any obstacles.